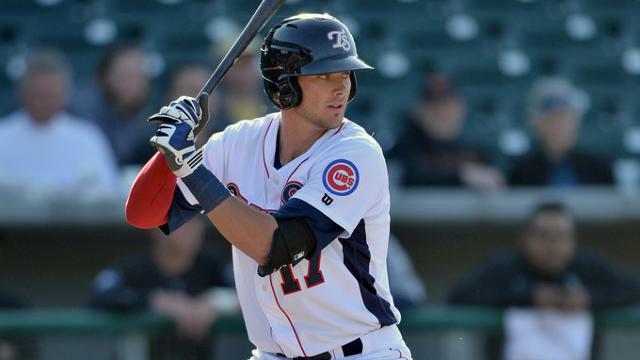 Chicago Cubs prospect Kris Bryant just keeps adding accomplishments to his impressive 2014 season. Today the USA Today named Bryant their Minor League Player of the Year. The award is voted on by sports writers and editors as well as readers of the USA Today. Bryant, 22, spent most of his season in Double-A Tennessee smashing the ball before being called up to Triple-A Iowa in June. Bryant led the Minor Leagues with 43 home runs this season in addition to his 110 RBI. He finished with a .661 slugging percentage between Tennessee and Iowa. With the Cubs already calling up prospects Arismendy Alcantara, Javier Baez and Jorge Soler, Bryant should see the big leagues in 2015.